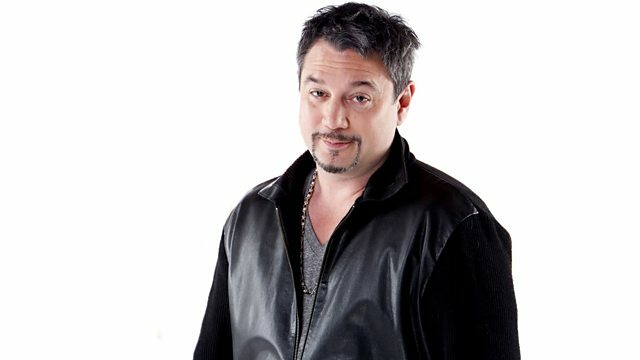 BBC Radio 2 - Huey Morgan, 1979 Huey Style: Dance The Night Away! The only show in the world that takes you from Def Leppard to Dead Prez. Just another week in the life of Huey Morgan raiding his record collection. The only show where you can go from Def Leppard to…. Dead Prez. Patrice Rushen, Sweet and Captain Sensible also make the cut as Huey Morgan from the Fun Lovin' Criminals raids his record collection. After 5 it’s back to 1979 Huey Style - find out what sounds shaped Huey's life on the Lower East Side of Manhattan. It’s your weekend – he's just playing the music! Hard Centres: The Rock Years. Smooth Grooves: A Sensual Collection Volume 9. Trevor Nelson's Soul Nation (Various Artists). Shaking The Tree: 16 Golden Greats. A Curva Da Cintura (Mali - Brasil). The Very Best Of Herb Alpert. Ultimate Hip Hop (Various Artists). Funk Phenomenon 2: 12 Classic Funkin' Grooves. Legendary Oldies Of The '50s And '60s.